Customization in technical polyurethane products, both small and large series, where many plastic qualities, hardnesses and colors are possible. Polyurethane is a very versatile plastic. Below you can see some markets that PGN supplies with polyurethane. 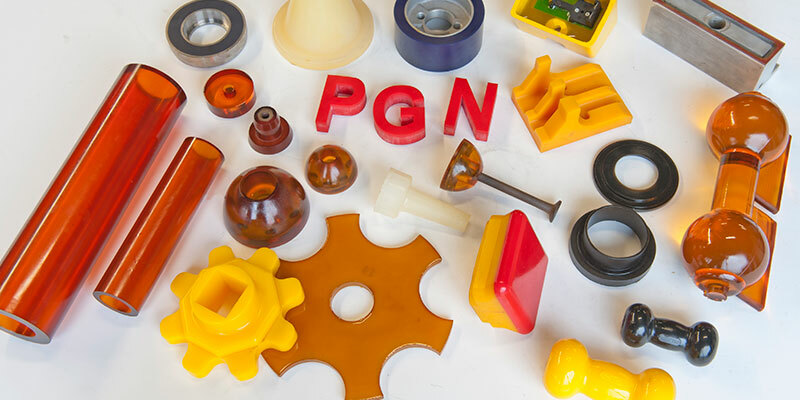 Polyurethane is widely used in machine building for, among others: suction cups, vibratory ram bases, membranes, bellows, seals, transport rollers, transport guides, bearing blocks, spring elements, vibration dampers, transport channels, glass rolls. Track plates for asphalt pavers, Suction nozzle cladding, Buses, Track wheels, Street furniture, Wear plates. 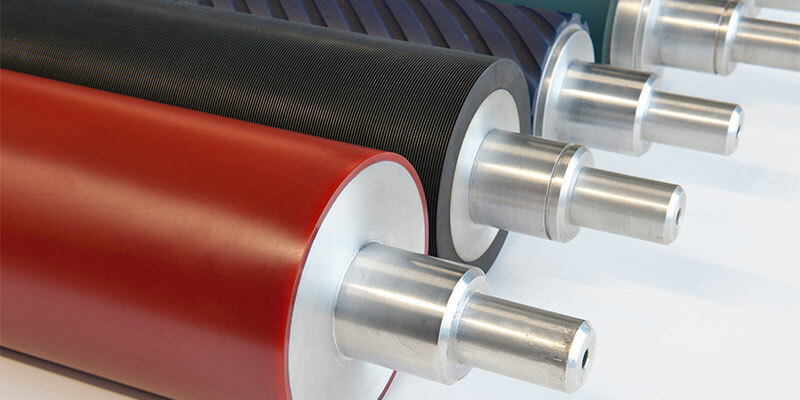 Mixing drums, No-crush rollers, Retraction rollers. 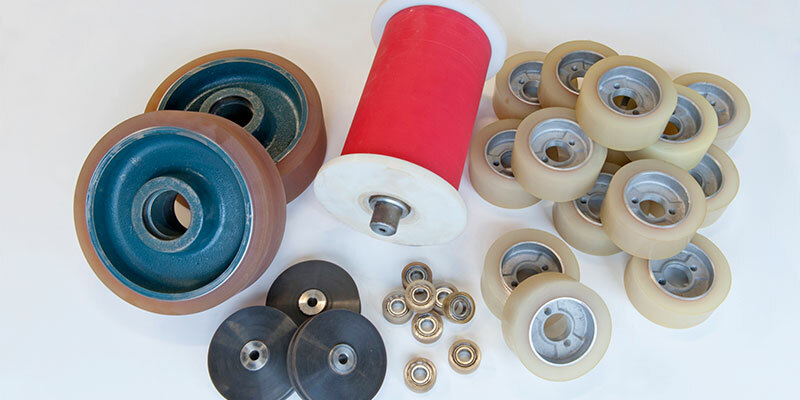 Funnels, Rope Blocks, Pallet Car Wheels, In-Export Worms, Snow Scrapers, Profile Strips, Hydrocyclones, Paint Rollers, Steel Blast Mouthpiece, Punch Plates, Curves from PUR, Peenering Chain, Concrete Paving, Stepper Roller, Paint Rollers, Forklift Punches, Buffers, Positioning Pliers, Profile Clamps, Pump Body Covers, Cable Conduits, Manhole Covers, Transit Rollers, Grinding rollers, Flange wheels, etc. Upholstered straps, piston valves, seals, diabolos, valves, pipe-pigs. Animal toys, wheels for crawler systems, uprooting rolls. 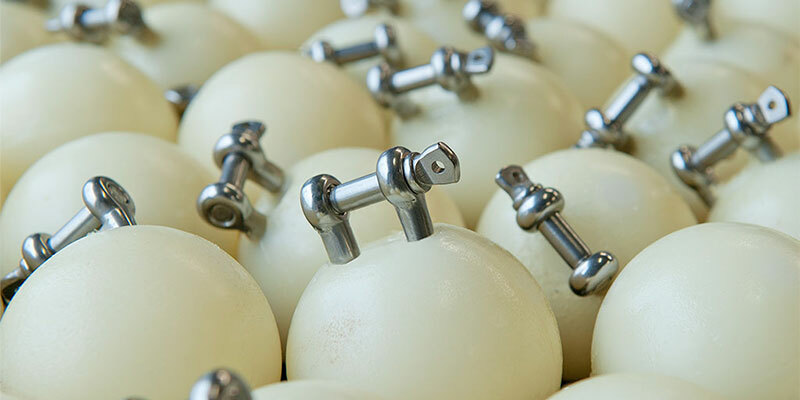 Curious about the many possibilities of polyurethane applications? Request information about the many possibilities, short delivery times and competitive prices.